Posted January 23rd, 2013 by David Porter & filed under Hot Topics, MailBigFile, Social. It wouldn’t be a new year without a timely update on various frauds, cons, scams and other annoyances that have cropped up in the digital era. Local authorities are busy compiling data on waste disposal over Christmas and congratulating themselves by and large about the increases in the amount of waste now recycled that doesn’t find its way into landfill. 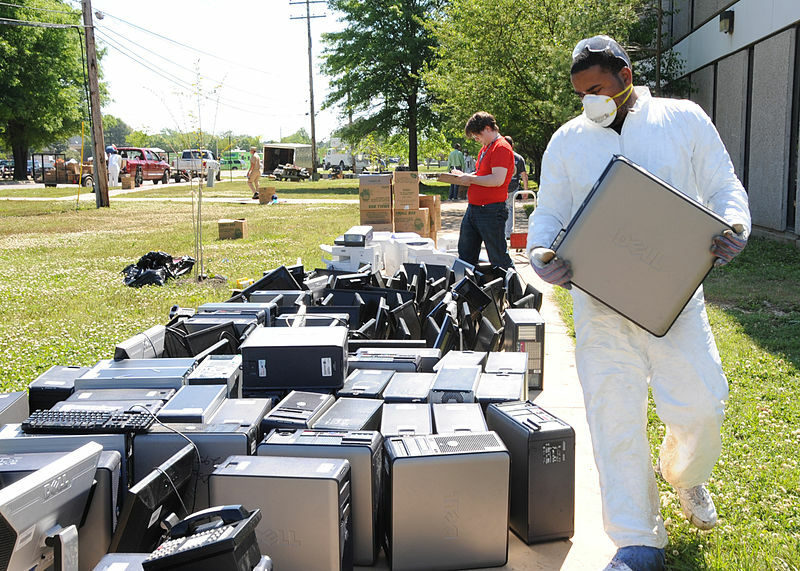 But what about old computers sent for reuse in a worthy place that end up just supplying fraudsters? In November, the Sunday Telegraph and others reported that investigations had revealed that thousands of computers taken to municipal tips for recycling are being illegally shipped to Nigeria. Unwiped hard drives with a mass of personal and private data are being harvested with most victims of fraud unaware of how criminals acquired their data. Some Ministry of Defence machines were included in the hauls. In the tail end of last year the Environment Agency’s ‘Operation Boron’ secured convictions against several British people for posing as legitimate and being paid to recycle electrical equipment. In fact, they were simply shipping stuff to Nigeria where it was searched and dumped. So much for European laws on the environment and electrical goods. It is illegal to ship outside Europe any electrical equipment that does not work as most of it will contain hazardous materials and metals. But several British companies ignored the ban, and did it, including one quite close to MBF home, in Norfolk. Much of the waste ended up in Tin Can Island, near Lagos, where children eke out a living poring through the dumped debris to extract metals and hard drives. Investigations are ongoing into other companies. As part of a series of legal measures against the estimated 7 million people a year who illegally download counterfeit and replicated material from the web, the Government is establishing a police unit designed to protect intellectual property rights. This is not just because it is illegal and many famous celebrity musicians like Brian May, Pete Townshend, Elton John, Tinie Tempah and Andrew Lloyd Webber have been quite vociferous lately about their intellectual and creative ownership rights. It is also because illegal downloading is believed to cost creative industries and therefore the British economy, at least £400 million every year. The unit will target teenagers and young adults, with schools teaching the ‘dangers of downloading illegal music’ and adults will be hit with poster and information campaigns online and in streets. Enforcing Laws Encouraging or Unnecessary? Some will see that at last the authorities are fighting back against online piracy and unscrupulous dealers who flout environmental protection legislation. Others see it as a distraction by the police along with hate crime and motoring offences when they should be focussed on ‘real crime’ like burglaries, white collar fraud and violence. But fraud is fraud, scams are scams, pollution is pollution. There are no ‘victimless crimes’ here. Crime is crime.